Season 15 Pass on Sale Now! 4/27 - Season 15 Home Team Champs! Cheer on the Rat City Roller Derby Home Teams as they battle it out for the 2019 Season Trophy and help them say goodbye to the Rat’s Nest. Advanced Manual Therapy & Sports Rehabilitation, a division of Northwest Hospital’s The Sports Medicine Clinic is a proud Rat City Sponsor! 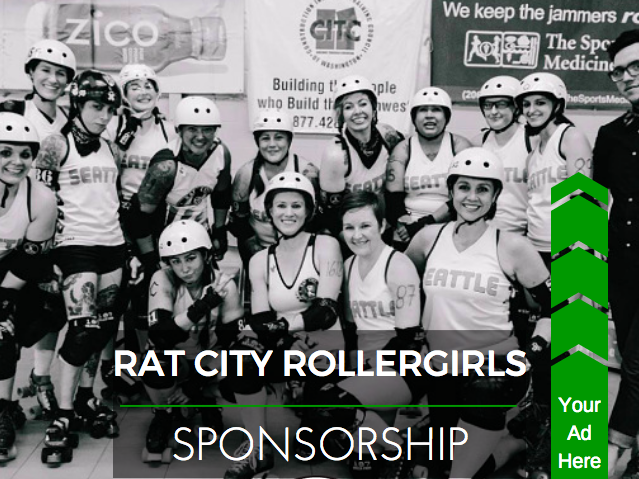 Sponsorship is a great way to get your message out to our fans and greater roller derby community. Can't make it to a bout? Missed Home Team Championships? Check out our youtube channel!